This updated edition includes fatigue and sleep definitions as well as strategies for the measurement and assessment of fatigue. The aviation performance, mood, and safety problems associated with sleep restriction and circadian disruptions in operational settings are highlighted. The biological bases of fatigue are discussed so that the reader can understand that it is a real physiological phenomenon and not 'just a state of mind'. Both traditional and newly-developed scientifically-valid countermeasures are presented, and a variety of data from diverse sources are included to provide readers with a 'toolbox' from which they can choose the best solutions for the fatigue-related problems that exist in their unique operational context. In addition, an essential overview of Fatigue Risk Management Systems is included to provide the basic structure necessary to build and validate a modern, integrated approach to successful fatigue management. The book is of interest to aviation crews in both civilian and military sectors--managers as well as pilots, flight crews, and maintainers. It aims to be user-friendly, although scientific information is included to help the reader fully understand the 'fatigue phenomenon' from an evidence-based perspective as well as to enhance the reader's appreciation for the manner in which various counter-fatigue interventions are helpful. Contents: Part I The Problem of Fatigue: Introduction; An overview of fatigue. Part II Causes of Fatigue: The nature of fatigue; The processes underlying sleepiness (fatigue) and alertness; Circadian rhythms; Sleep facts; Sleep disorders; Other factors associated with sleep difficulties. Part III Countermeasures for Fatigue: The need for fatigue countermeasures; Sleep optimization: the first-line fatigue countermeasure; Anti-fatigue strategies for shift lag and jet lag; Anti-fatigue strategies for situations involving sleep restriction; Issues to consider when launching a program of fatigue management. References and suggested readings; Index. Dr. John Caldwell has a Ph.D. in Experimental Psychology with over 25 years of experience conducting multidisciplinary research in settings including the U.S. Army's Medical Research and Materiel Command, NASA, and the U.S. Air Force Research Laboratory. He is an internationally recognized expert scientist in the areas of sleep deprivation, fatigue countermeasures, and research on the real-world performance effects of select pharmacological compounds. He is a Fellow in the Aerospace Medical Association and the Aerospace Human Factors Association. Among his awards, Dr. Caldwell has received the Air Force's highest civilian award for research and development. 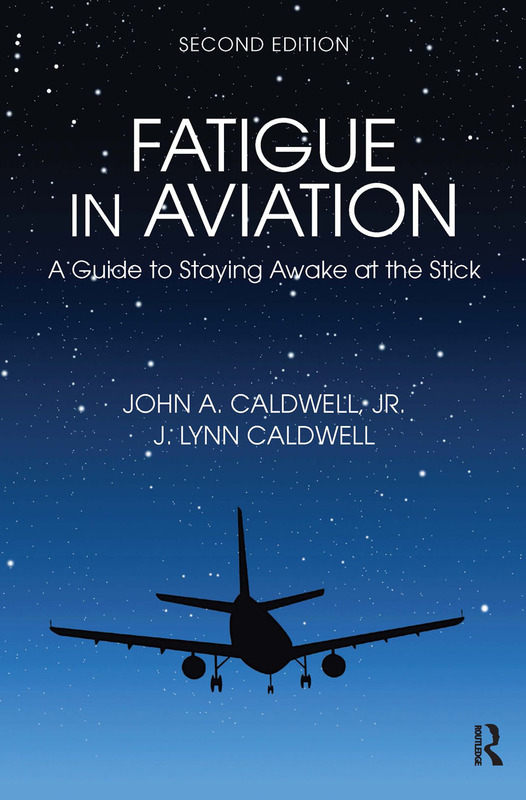 Dr. J. Lynn Caldwell has a Ph.D. in Experimental Psychology with over 20 years of experience investigating sleep-optimization and fatigue-mitigation strategies in military aviation. She is certified by the American Board of Sleep Medicine as a Sleep Specialist. In her work with the U.S. Army, U.S. Air Force, and U.S. Navy, Dr Caldwell has conducted numerous simulator and in-flight investigations on fatigue countermeasures, sleep, circadian rhythms, and pharmacological interventions in rated military pilots. She has served as a Distinguished Visiting Scholar at the U.S. Air Force Academy, and is a Fellow of the American Academy of Sleep Medicine, the Aerospace Medical Association, and the Aerospace Human Factors Association.